When did you become passionate about astronomy? It all started at school. Astronomy was the most interesting subject for me. We studied Solar system, general concepts of space, stars, planets. At the University I made friends with Julius Lavrenko. Julius loved taking photos, then he mastered astrophotography, and started taking pictures of planets and space landscapes through telescope. After graduating from University we set up a community in Vkontakte social network, where we started publishing our pictures and sharing astronomy news. 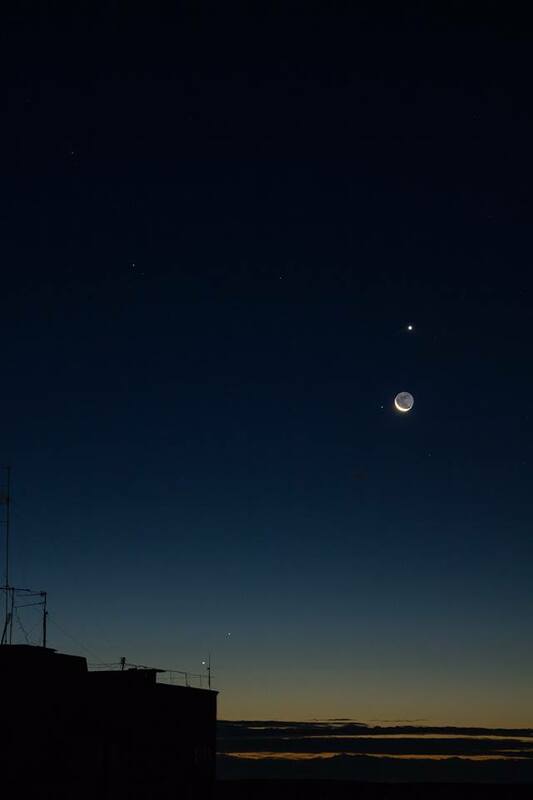 What does your “Street Astronomy” community do? 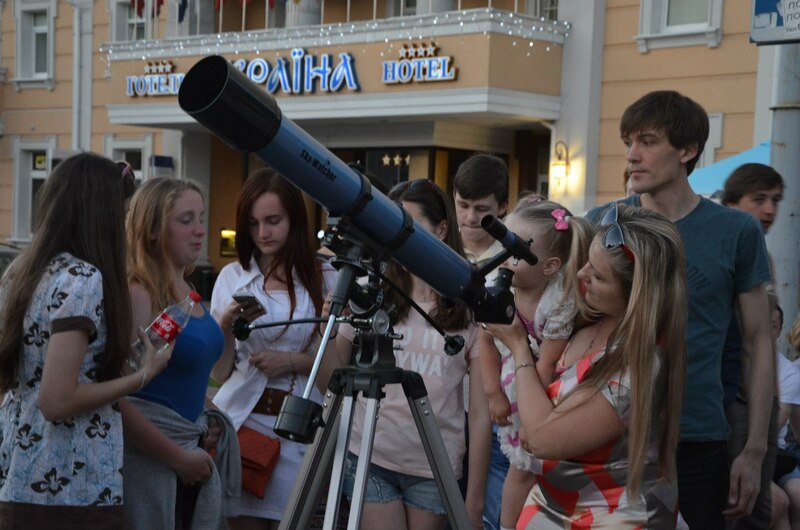 “Street Astronomy” conducts sidewalk observations in Rivne and Shepetivka. We bring our telescopes to the streets and offer people to look at space objects for free. Also we provide comments to help people understand what they see, and answer their questions about planets, moon, nebulae, star clusters. The main purpose of these observations is to show everyone, that a super-exciting world exists in the sky. Children get bored from Astronomy as a theoretical discipline full of physics and math. They rather expect Astronomy to be full of romance and mystery. The solution could be introducing into the school program more hours for sky observations. I like what academician V.L.Ginzburg said: “We need to create a fashion for intellect“. 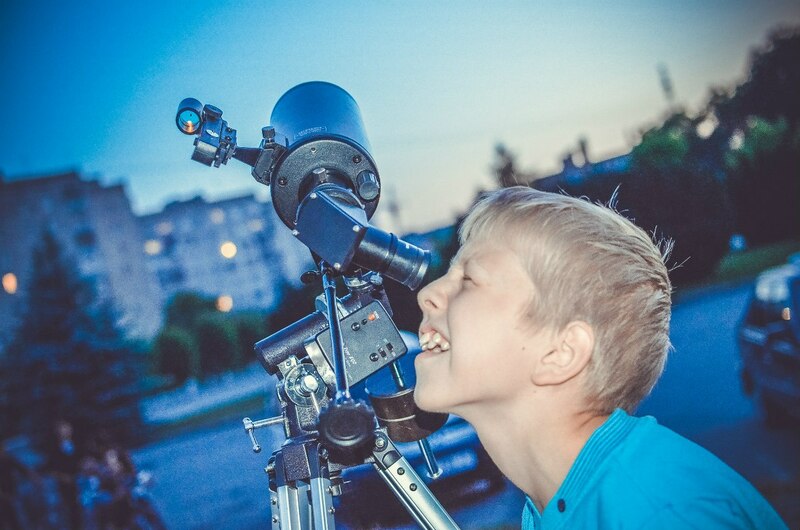 Street Astronomy activities, that we hold in Rivne, Shepetivka aim to develop interest to the world around us among children and adults. How many people in Ukraine are interested in astronomy? Until recently there were very few people interested in astronomy. However, Ukraine made a big leap forward in a course of last 2 years. Many new communities emerged. Now we have high quality content available in Ukrainian and other languages. You can even choose what to read: State Space Agency of Ukraine, Alpha Centauri (this project broadcasts live rocket launches, translates videos and articles), you can watch Tsikava Nauka, or you can go offline and observe stars. There are many events hosted by amateur clubs, such as Kyiv Astroclub Astropolis, Astro Sumy etc. If you want to know if your city has an astro-club, I advise you to visit Astropolis forum, where you can find like-minded people. Can you earn real money exploring the sky? You can find a new asteroid and sell someone the right to name it 🙂 You can do cool pictures of the stars and sell them to popular magazines. You can participate in grants allocated for astronomy research and activities aimed at science promotion. On October 4-10 the World Space Week will be held. “Association of Space Museums of Ukraine” announced a challenge for the best event in a course of this week. Many events will take place all over the world hosted by space agencies, aerospace companies, schools, museums, astro-clubs. You can find the list of such events at the World Space Week Event Map. “Street astronomy” community also takes part in celebrations. 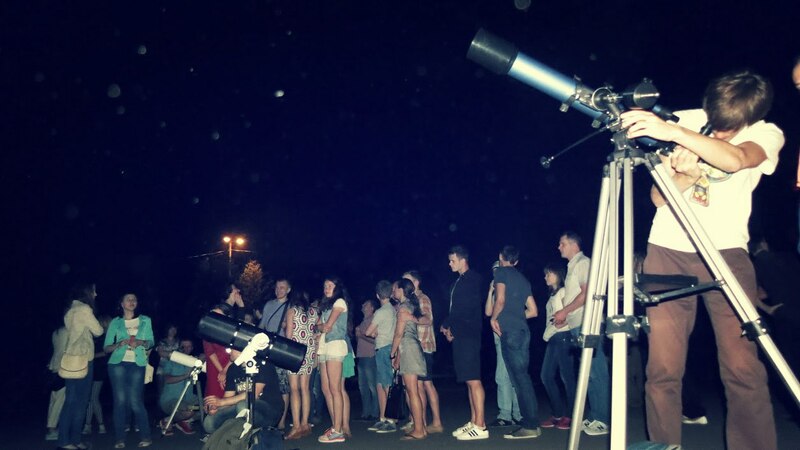 We will organize a night of Sidewalk astronomy in Rivne. We’ll show people Saturn, Moon and other awesome objects in the night sky. You can register and host your own event and receive a cash prize, while having fun at the same time and doing good things for society. Who founded Streetastronomy.com.ua web-site? What is your mission? Initially “Street Astronomy” existed only in social networks Vkontakte and Facebook. After the access to Russian social network was banned in Ukraine, we focused on the Facebook community. Then we had this idea to launch a site for publishing news and articles about astronomy and science: how to choose your first telescope, how to find the right object in the night sky, events announcements. So now you can find all these longreads on our web-site, while in Facebook group we focus on news and short notes. Who is preparing articles for the web-site? This is done by Oleksiy Semeshchuk, another member of the Street Astronomy community. Alex knows very well all the optical instruments needed for sky observations: telescopes, mountings, filters, astro cameras. We’ve published few articles explaining how to choose a telescope for beginners, on which parameters you should focus. Alex is also fond of astrophotography. This hobby is popular among astronomy amateurs. 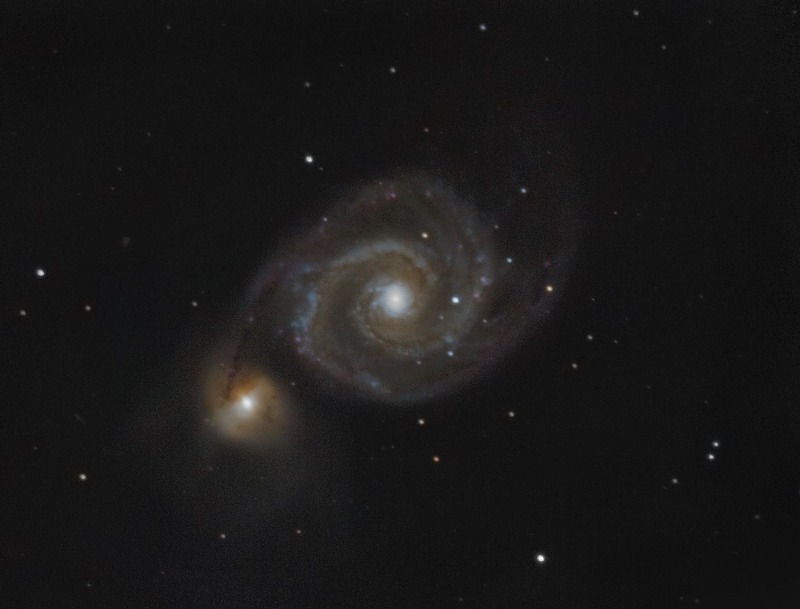 The Whirlpool Galaxy, also known as Messier 51a, located in the constellation Canes Venatici. SkyWatcher 150\750, EQ3-3 + EQDrive, Lumenera Lu075m + PHD2. 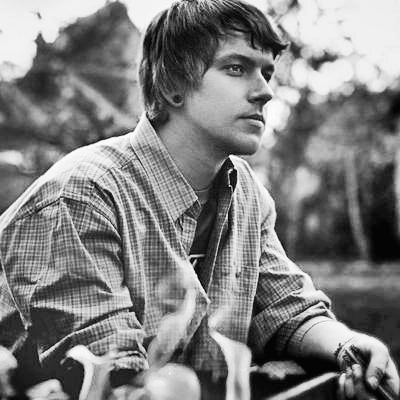 Author – Oleksiy Semeshchuk. Alex takes pictures of deep-space objects: galaxies, nebulae and star clusters that aren’t accessible for the human eye and can only be seen with long exposures and after combining many pictures into a single photo. 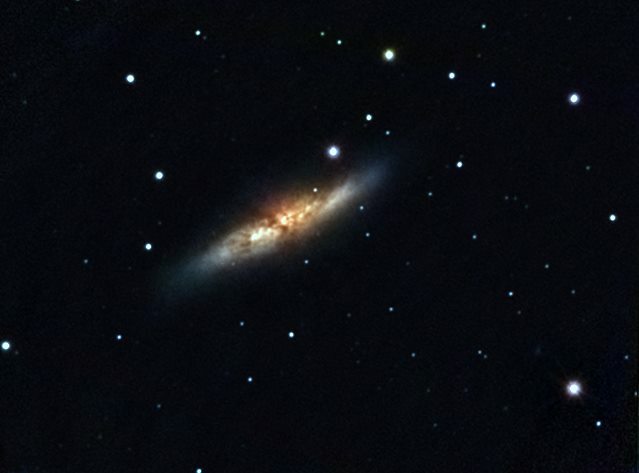 Messier 82 (also known as Cigar Galaxy or M82) in the constellation Ursa Major. 5 hours exposure. 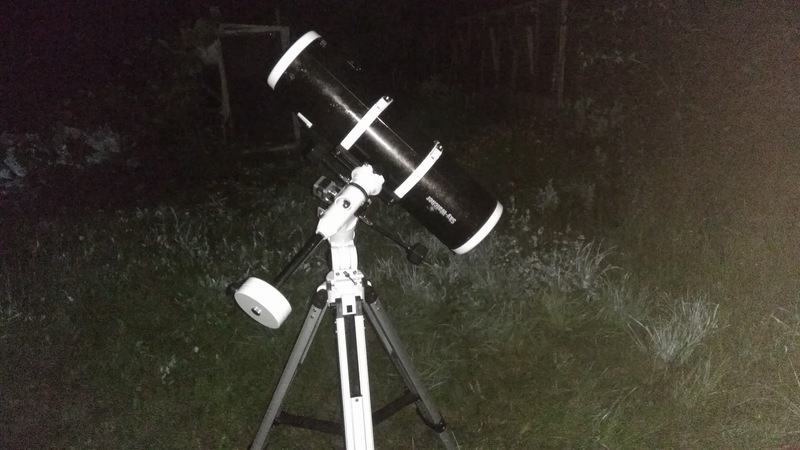 Telescope Sky-Watcher 150\750 with motorized mounting EQ3-2 (+ eqdrive), camera Lumenera Lu075m. Author: Oleksiy Semeshchuk. 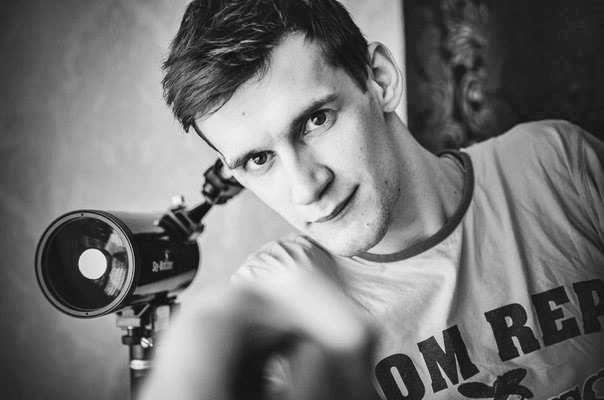 Another member of our team – Julius Lavrenko likes taking pictures of planets and space landscapes. You can find our astro-photo in Instagram. Me and Maxim Nekhai are responsible for writing articles. Maxim is one of the first participants of “Street astronomy”, we started together to build community in Rivne and do first “Sidewalk observations”. Who inspires you most among modern scholars, astronomers and science promoters (Ukrainian and foreign)? Klim Ivanovich Churyumov – he was a prominent man and professional astronomer. He did a lot for the science and strongly supported amateur astronomers. With his colleague he discovered the famous comet “67P Churyumov-Gerasimenko” – the first comet landed by the spacecraft from Earth. 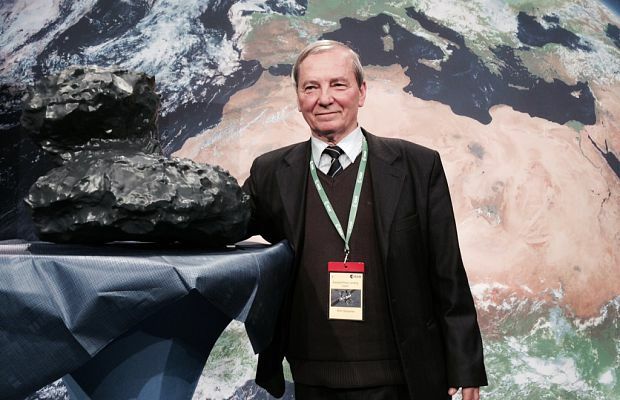 Klim Ivanovich Churyumov – Corresponding Member of the National Academy of Sciences of Ukraine, Director of Kyiv Planetarium, President of Ukrainian Society of Astronomical Amateurs, standing with a Comet’s 67R Churyumov-Gerasimenko model. I’m fond of people, who promote science in Ukraine and worldwide: Ivan Leonidovich Andronov – Doctor of Physics and Mathematics, Professor of the Department of Astronomy of Odessa National Maritime University. He is a wonderful astronomer and teacher, author of scientific papers on binary stars. Who else? Anton Senenko – Senior Researcher at the Institute of Physics at the National Academy of Sciences – he is a well-known promoter of science in Ukraine. Pavel Potseluev and the entire Alpha Centauri team. Valentin Solonechny and his project “Science Ukraine”. Vitaliy Shevchuk – he runs “Tsikava nauka” video-channel. Tetyana Kovalchuk-Skorokhod runs EducationProject.Space. Ivan Kryachko – Head of the Laboratory of the Main Astronomical Observatory of the National Academy of Sciences of Ukraine – he supports interesting community Astronomy in UA. Volodymyr Turco and his community Space Perspective. Mars Hopper Team. All these people do a lot for astronomy in Ukraine. Among foreign researchers, I like Neil Degrasse Tyson, an American astrophysicist, science advocate, writer and his colleague Bill Nye – also a world-class inventor, science promoter. What space project impressed you the most? Rozetta, definitely. Imagine you needed to launch a spacecraft, and calculate its route in such a way, that in 10 years it would meet a comet (67P Churyumov-Gerasimenko). Then make a soft landing on it and explore the object in all possible details! I love it! Is it possible to discover new space objects working from home now? Yes. I’ll tell you how. One day I was surfing the web and found an international asteroid search project, organized by the Space Generation Advisory Council. I sent an application and in a few weeks got a reply that our Street Astronomy team was among the 15 teams selected for Program. 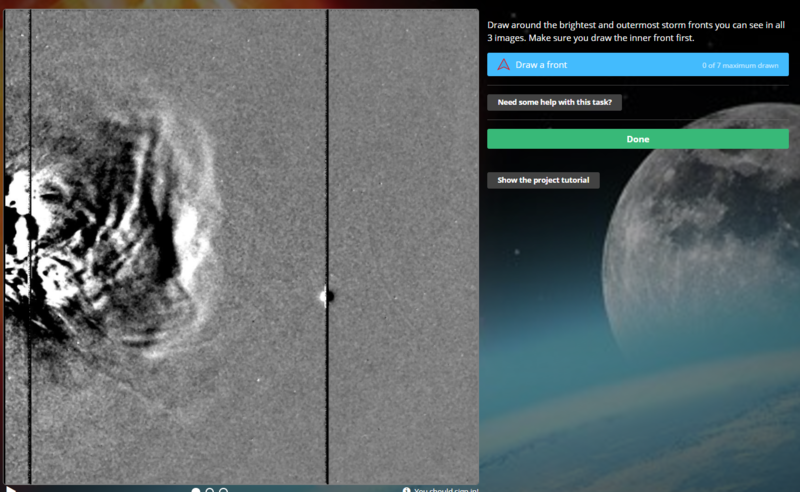 Before the start of the project, we received specialised Astrometrica software, instructions and test images. Training materials provide a clear description which objects can be considered to be asteroids, and which are only defects in the images. It’s very important, because your reports can’t contain any mistakes. 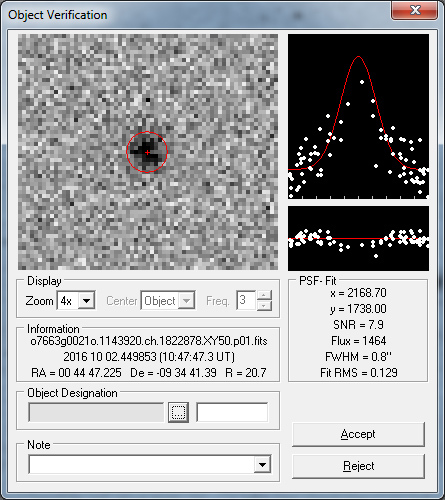 Asteroids selection criteria are the following: straight and steady motion (object needs to be present on the majority of pictures); change in brightness within the limit less than 1; round or oval shape, and the signal-to-noise ratio (SNR) must be greater than or equal to 5. These data are automatically measured by the program, but the final decision remains with the person who analyzes the image. Astrometrica program with data about new object UKR0006, discovered by Street Astronomy team. In 2015 we opened 1 new asteroid and improved measurement for the four already known asteroids of the Main Belt. In 2016-2017 we teamed up with amateur astronomers from Sumy and discovered several previously unknown asteroids. Already discovered asteroid Y3570 (on the top) and the new obejct UKR0006 (in the bottom) – series of pictures processed by Volodymyr Sulym. Now we also take part in a project, that will last from September 13 to October 10, 2017. We have already made few provisional discoveries of new asteroids, which need to be verified by the project curators and Minor Planet Center. Check these articles to find more information about our team, the process and results of previous searches: “Ukrainian team took part in the search for near-Earth asteroids” and “Catalina Sky Survey Asteroid Search Campaign”. I plan to divide the team and in the next wave work with new members to distribute our knowledge further. Together with Volodymyr Sulym we plan to bring engage schools or Universities in Sumy and Rivne. How much time per week do you spend on research work (writing articles, searching for new objects, working with social networks)? Once per week we publish astronomy news and describe astronomical events on the web-site. Everyday we update Street Astronomy community on Facebook. It takes a lot of time, but it brings pleasure. What equipment do you use for sky exploration? We have Sky-Watcher 90/1250 MAK90 EQ1, Sky-Watcher 909 EQ2 and much more powerful than the previous ones – Sky-Watcher Newton 150/750 reflector. These telescopes are suitable for observations both on planets and deep space objects. We also have cameras, re-equipped for shooting deep space objects – RisingTech GCMOS Mono and Lumenera Lu075m. What will happen to our planet in 20 years, your forecast? We will almost destroy our planet for posterity. But also we’ll get significantly advanced in scientific and technological development, fly to Mars, visit the Moon again, get the first minerals from asteroids, and begin distributing space territories between countries. Who is more cool – Richard Branson or Elon Musk? For me personally – Elon Musk. He is more global in his aspirations and ideas. And already Musk is much ahead of Branson in the space race of billionaires 🙂 I’m excited about SpaceX! What interesting books and web-sites about astronomy can you recommend? I advise reading Carl Sagan, his book “Cosmos”. You can also watch “Cosmos” tv-series. That would be interesting for beginners. Also you can read science-fiction books by Michio Kaku, there is also a YouTube channel with short videos, where he simply explains complicated things. In order to get a deeper understanding of the creation of the Universe and the existence of everything that we are now observing, I advise books by Lawrence Krauss “A Universe from Nothing” and Brian Green “Elegant Universe”. Then you can get acquainted with Stephen Hawking. Also I advise reading Richard Dawkins. 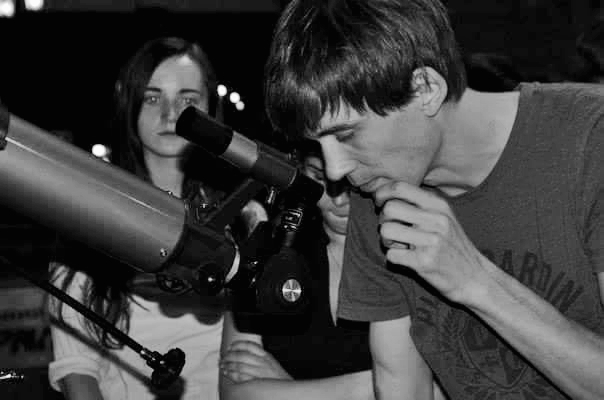 I also advise Stellarium program – it will help you to observe the night sky. It is a planetarium that shows a realistic picture of the sky, which can be seen with the naked eye, in binoculars or in a telescope. 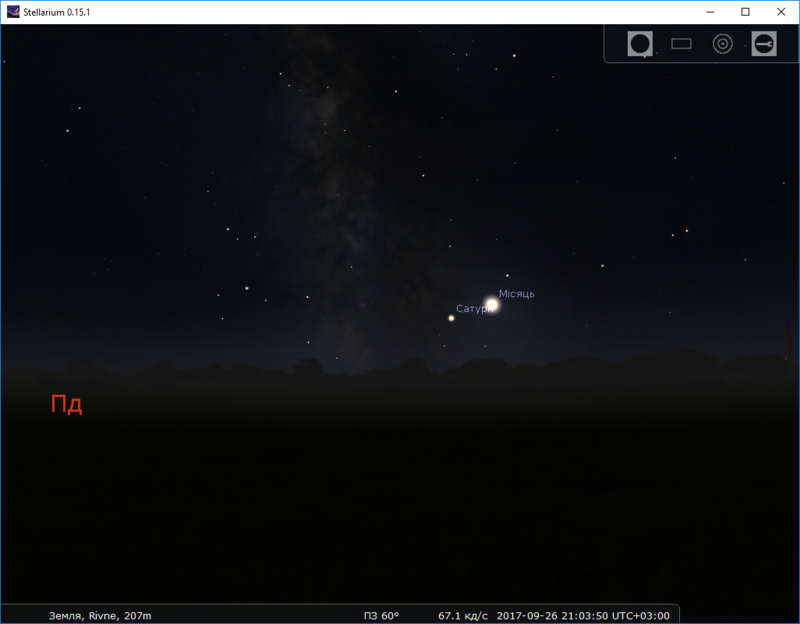 Another useful resource for amateur astronomers is Heavensabove.com. It was created to help tracking artificial satellites of the Earth, International Space Station, as well as very bright flashes of “Iridium” communications satellites. Also web-site provides information about comets, asteroids, planets position in the sky. Zooniverse project enable everyone to join Mars and Sun exploration, learn about the development of galaxies in early stages of the Universe. This is real data that needs to be processed. If someone wants to make a personal contribution to the development of knowledge and science – here you go. Check NASA web-site for children, where NASA teaches kids about space, missions to outer planets, the Sun, the Moon, Earth and other objects. Also there are interesting job offerings on NASA web-site for students. If you admire space photos, check DeepSkyColors web-site and, of course, twitter channels of NASA and ISS astronauts. What is your biggest space dream? I would not like to see space as the battlefield between countries of the world. Space should remain for everyone. The development of humanity in space must continue thanks to human intellect, and not power. 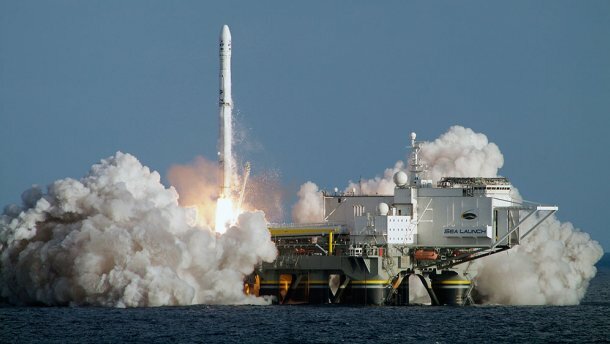 I want to see Ukraine as a leading space state. We have rather good industrial, scientific and engineering basis.